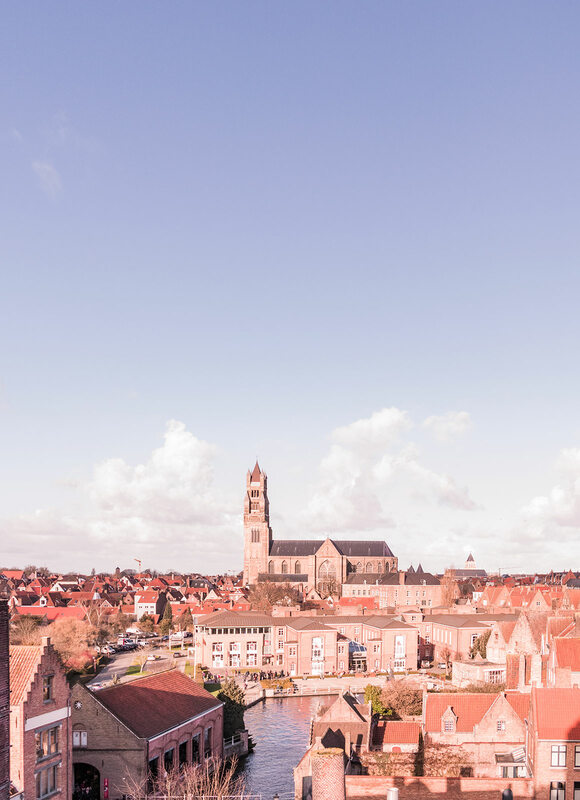 During the week we had in Belgium, there was one day with a forecast for clear skies. In hindsight I’m so glad we chose this day to visit Bruges. But you’ll see why later on in the post! 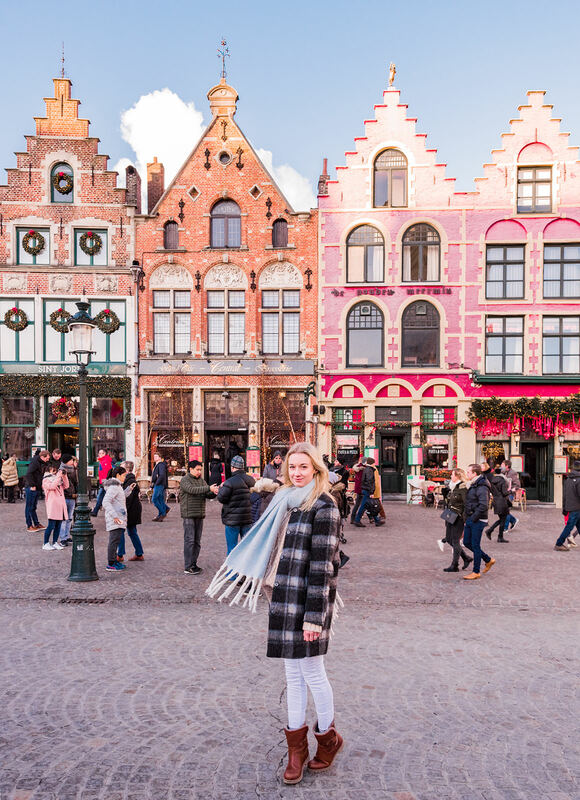 We based ourselves is Brussels for the week (which you can read all about here), and made the one and a half hour trip to Bruges by train. 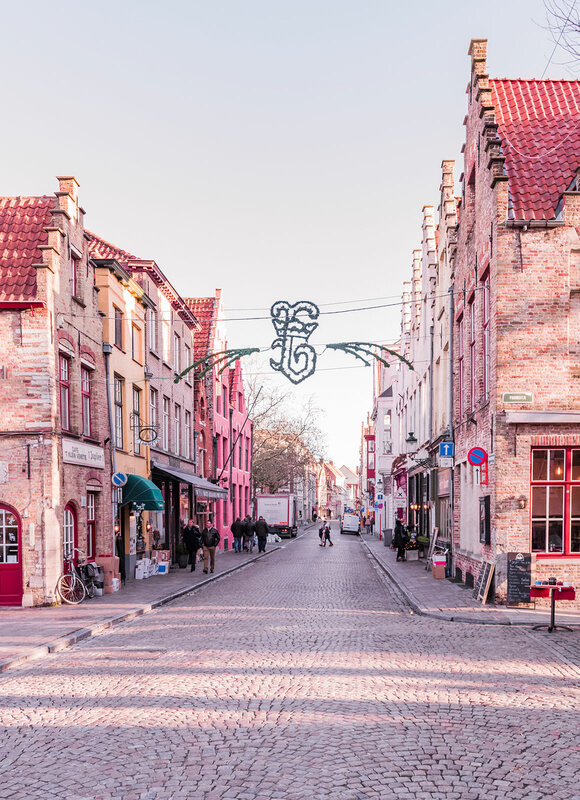 If you’ve seen the movie ‘In Bruges’ – you’ll know it’s a fairytale city. We watched the movie before our trip to get ourselves excited. But to be honest with you the movie just doesn’t do this charming city justice. 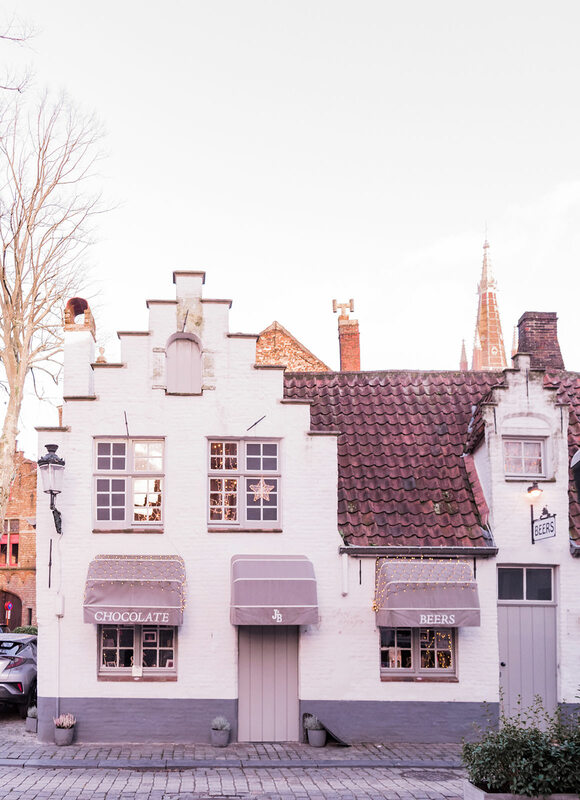 As you walk down the main street sampling Belgian chocolate and exploring cute stores, music plays from speakers that are placed outside every store, each building facade is so beautifully detailed that you wonder if you are in a dream, and boats float along the pretty little canal. Yes it’s really that amazing. However, there is one thing that looked better in the movie. That is the lack of crowds. We were warned before we went that Bruges is busy. But we didn’t realise just how busy it would be. This quaint little city with it’s narrow cobblestone roads and footpaths just wasn’t made for thousands of tourists. 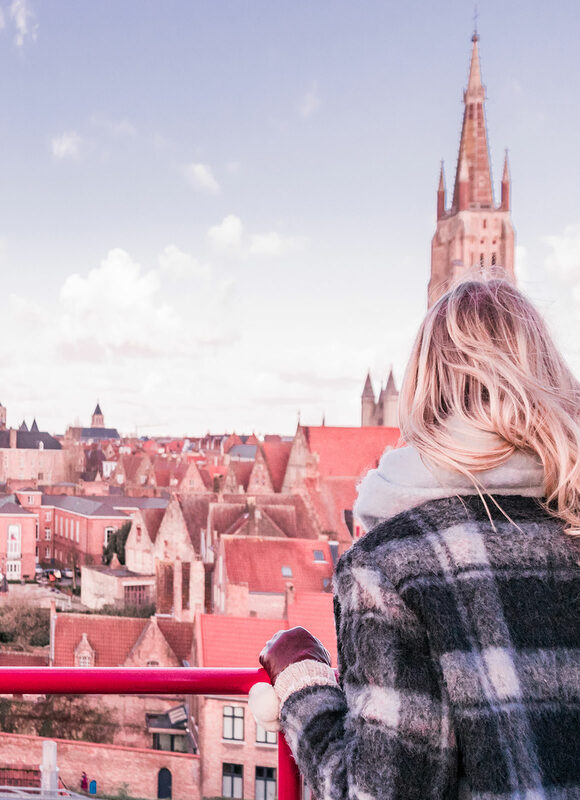 There are a couple of things we ended up missing out on, like climbing up the Belfry for the amazing city views. The lines were just too long and we didn’t want to spend most of our day standing in them. But I really don’t want to put you off from visiting. 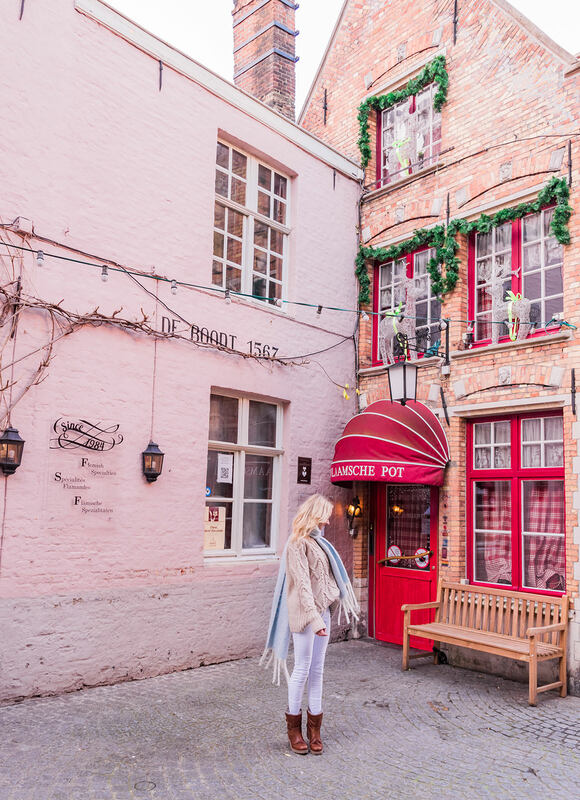 Because Bruges is busy for a reason – it really is a city straight out of a fairytale. 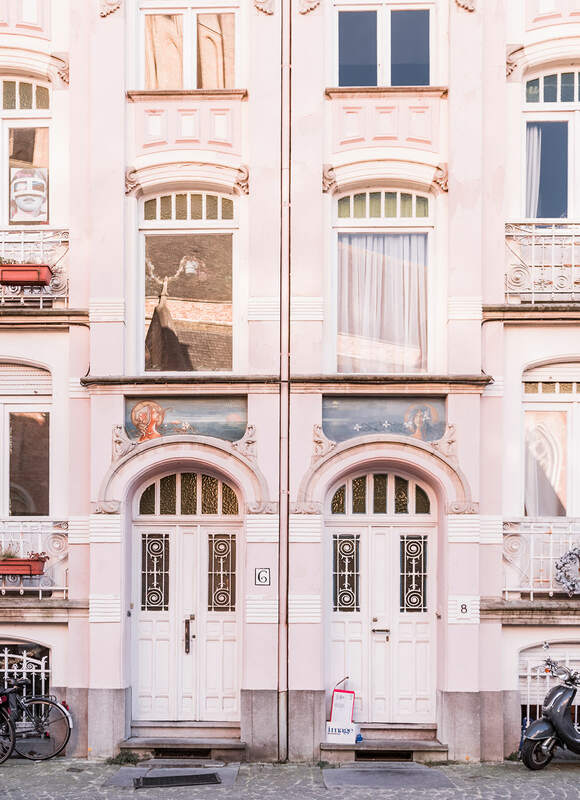 So I wanted to share my six secret tips for avoiding the crowds as much as you can and still seeing the prettiest spots in town. If there is one tip I give you, it’s go early. 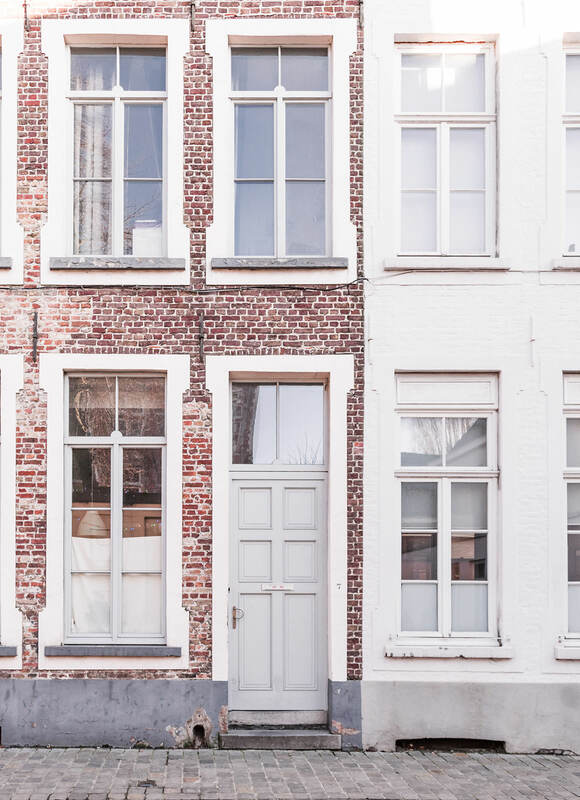 If you are staying in Bruges then this is a bit easier, set your alarm so you are ready by 8am or 9am and you’ll have the place mostly to yourself until 10am. 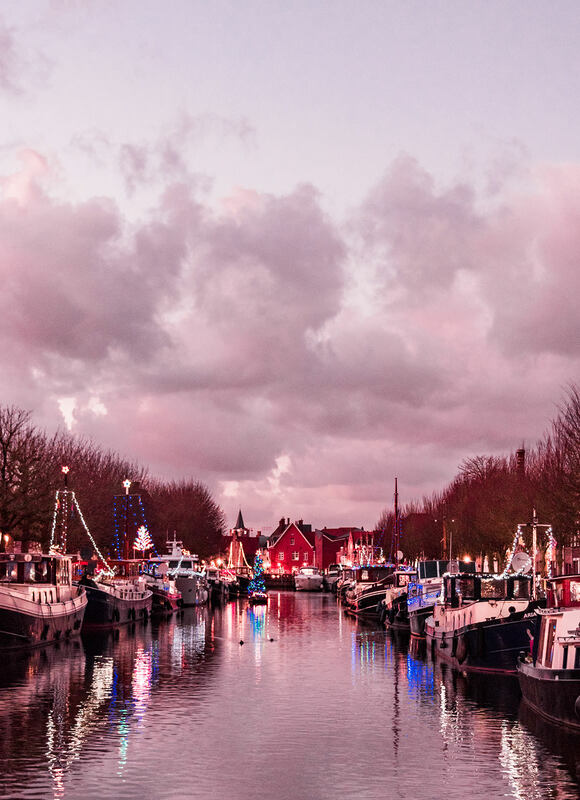 The perfect time to get to the Belfry before the line is crazy long, check out the canal and wander around the main square. 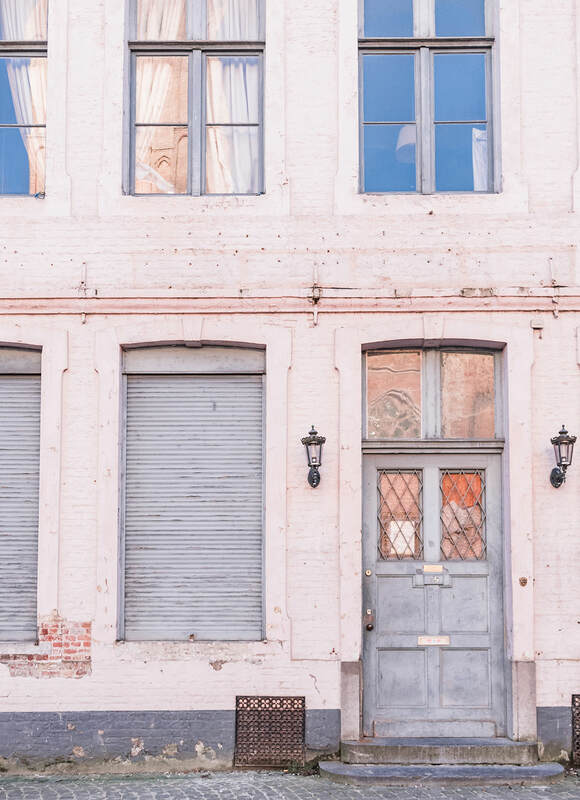 This secret little find is all thanks to Jase and his love for beer! On his wish list for the day was the Halve Maan brewery tour. 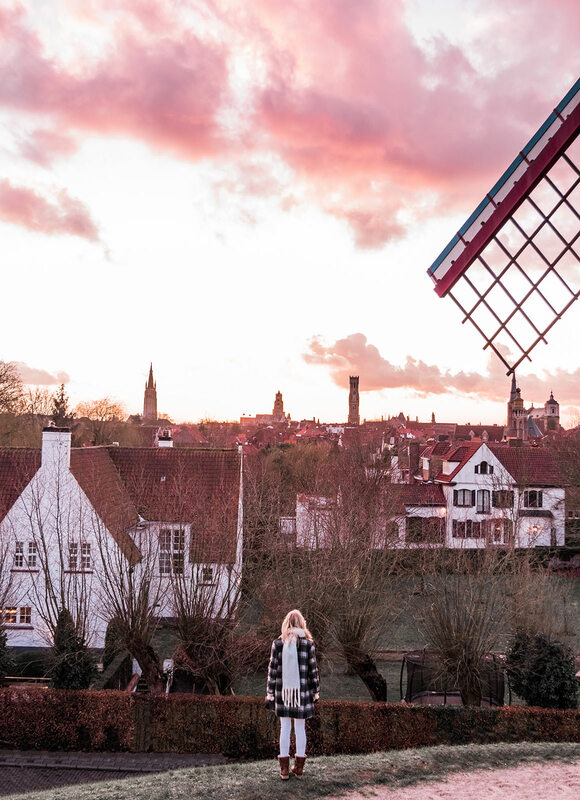 The most famous brewery in Bruges started operation in 1564 and also happens to have the most spectacular rooftop city views. Who knew? You have to do the tour to get to the rooftop, and they run hourly. We walked in and booked on the spot but if you want to go at a certain time you can book online here. We stumbled across this Absolute Art Gallery as we were heading towards our next destination. As we were walking the streets with hundreds of other people this almost empty looking gallery caught my eye. The perfect place to escape the crowds for a while – and it’s free! 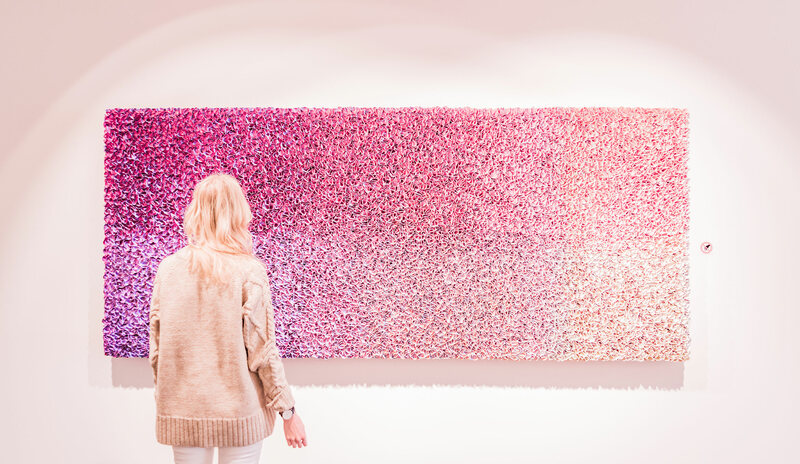 When we visited the gallery was showing the rainbow hued works of Zhuang Hong Yi. As you can see below it didn’t take me long to pick a favourite! So there are some things that are just worth fighting the crowds for. 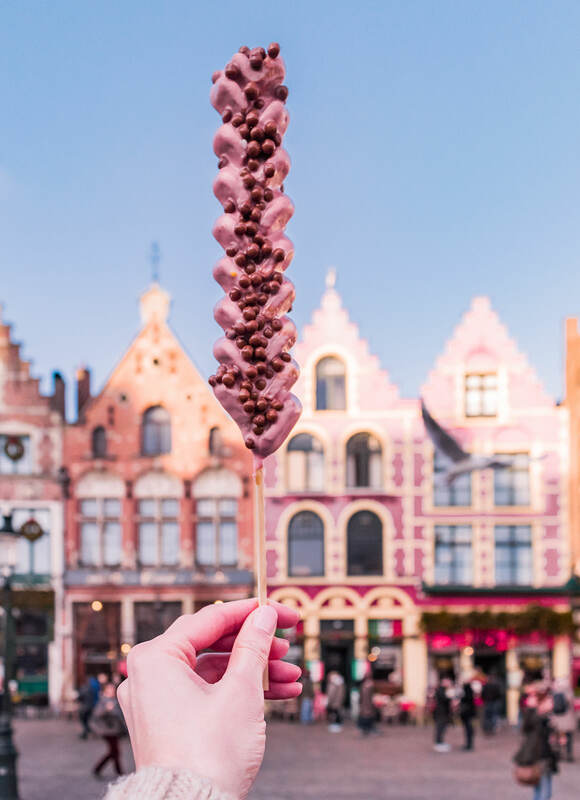 Four words – Waffle on a stick. And not just any kind of waffle on a stick – a custom designed waffle! 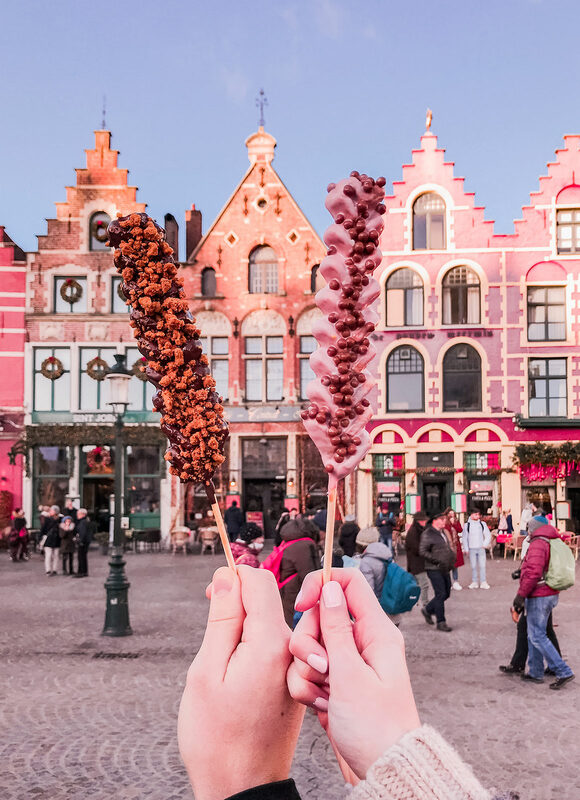 Jason’s Bruges wish was a beer tour, my wish was a pink waffle – and Go Fre is the place to go to get one. You get to pick a chocolate dip (white, milk, dark or strawberry) and then a topping (we went for biscuit and malt balls). 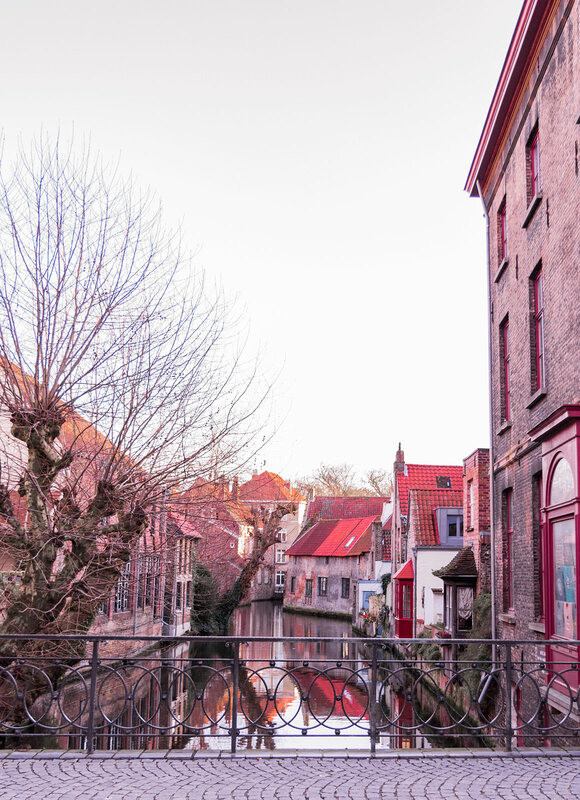 So here it is… the reason I am glad we picked a clear day to go to Bruges. 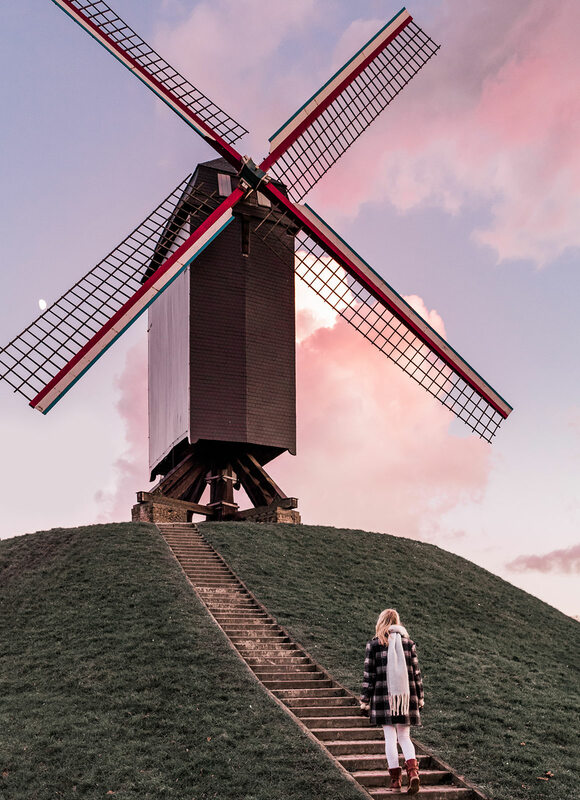 We had a bit of daylight left and had seen the main city so Jason had the genius idea of walking to the windmills. 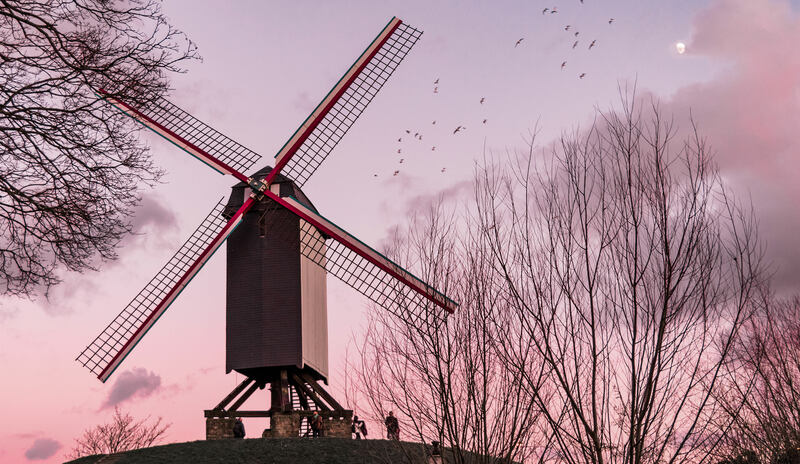 The windmills are about a 25 minute walk from the main square. By the time we got there the sky had turned into a pink cotton candy dream and the moon was peaking out! Apparently the windmills are not so well known either, because there was only us and a handful of other people there! I even got to climb up and sit at the top… which wasn’t so excited when I realised I had to climb back down. We had the perfectly, quiet (and pink) end to our day! 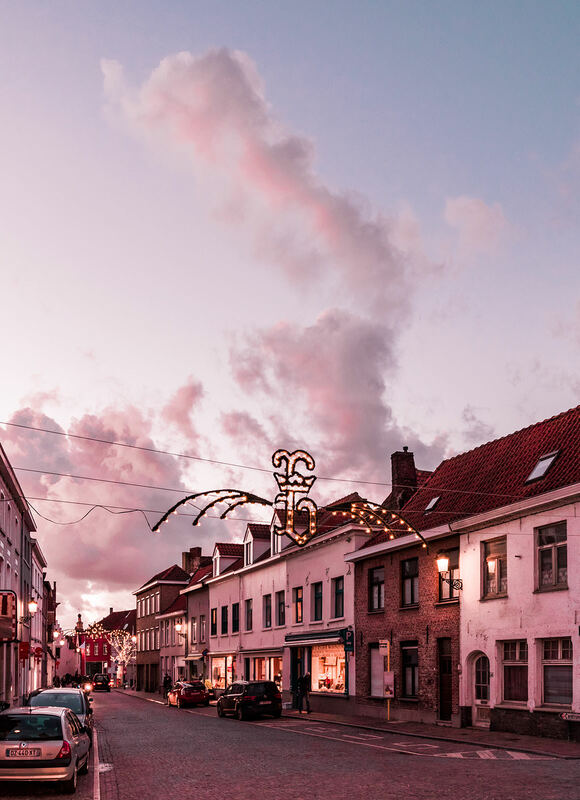 So yes Bruges is busy, but yes it’s still worth the trip. 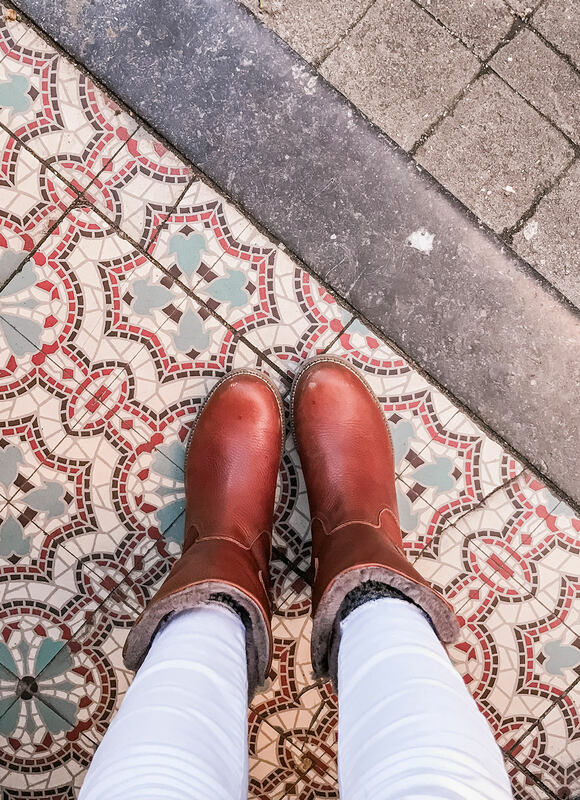 We found one day long enough to see all the highlights and hopefully with the tips I learnt along the way you can get even more out of your day than we did! What do you think? 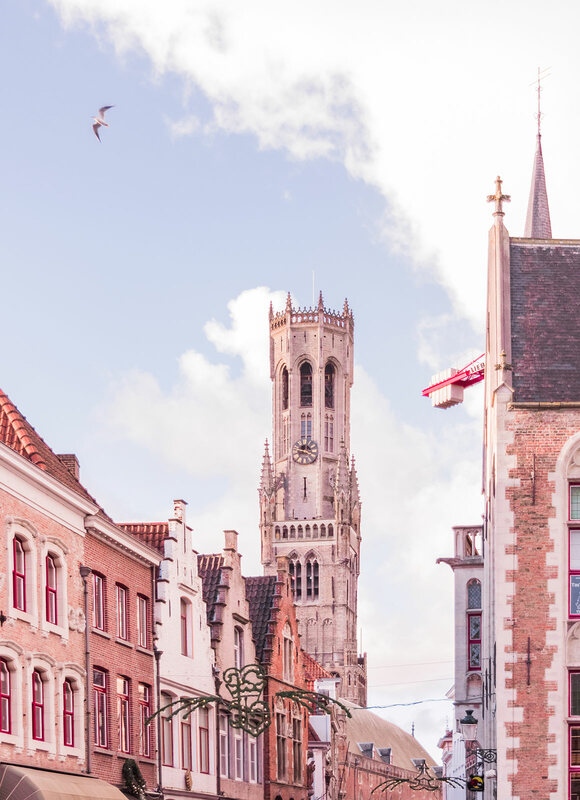 Would you still go to Bruges even though it’s really busy? Thanks for this wonderful post. Your photographs are absolutely beautiful! Thank you so much Tracey! I am so glad to hear you enjoyed the post and my photos! 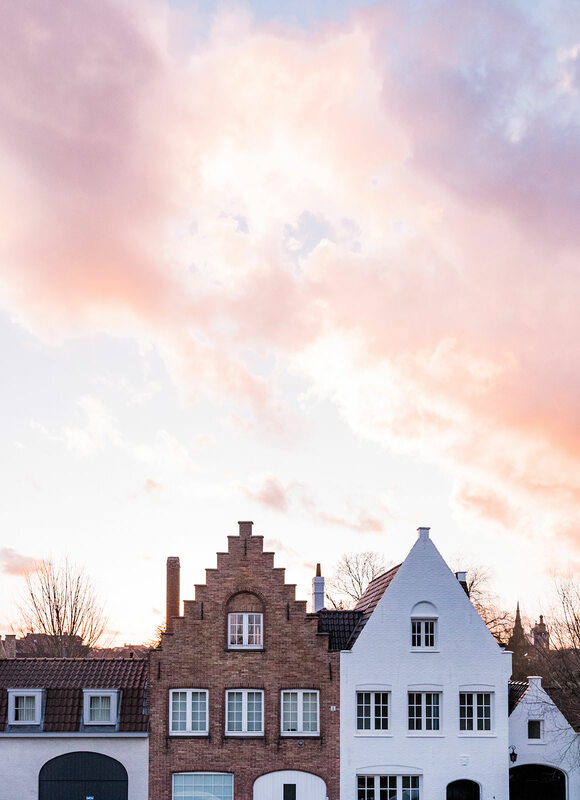 Bruges truly is a fairytale city! What is the model of the camera do u used to take all those beautiful photos? So lovely to hear from you!! I use a Nikon D5300 with my 18-55mm lens. I also have a 50mm lens (f2.8), which is great for portraits of if you want a nice blurry background. These are the only 2 lenses I ever use! If you need help with anything else please let me know! 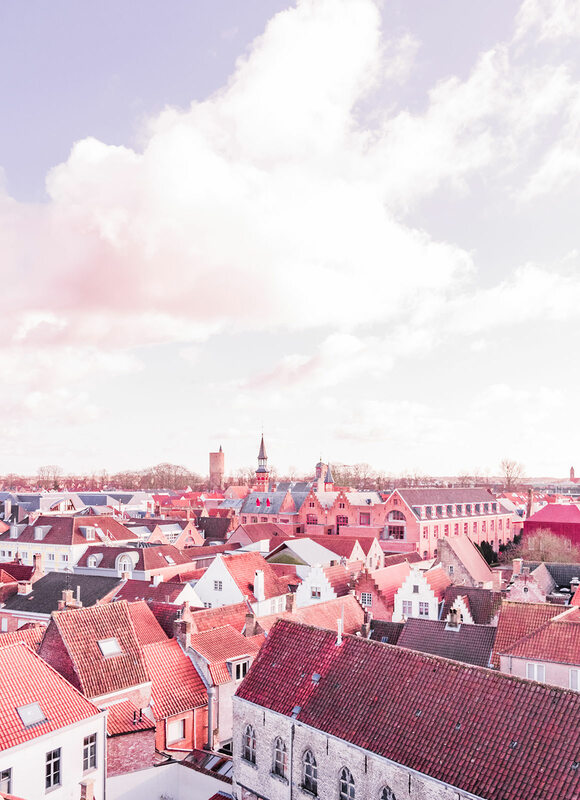 I’m even more excited for our honeymoon to Bruges now! Thanks for writing the article. It’s nice to see tips from someone who has been there and not just a list of the top 10 or whatever things to do. Oh wow what a magical city to have your honeymoon! You will just love it! I’m so happy you enjoyed my post! 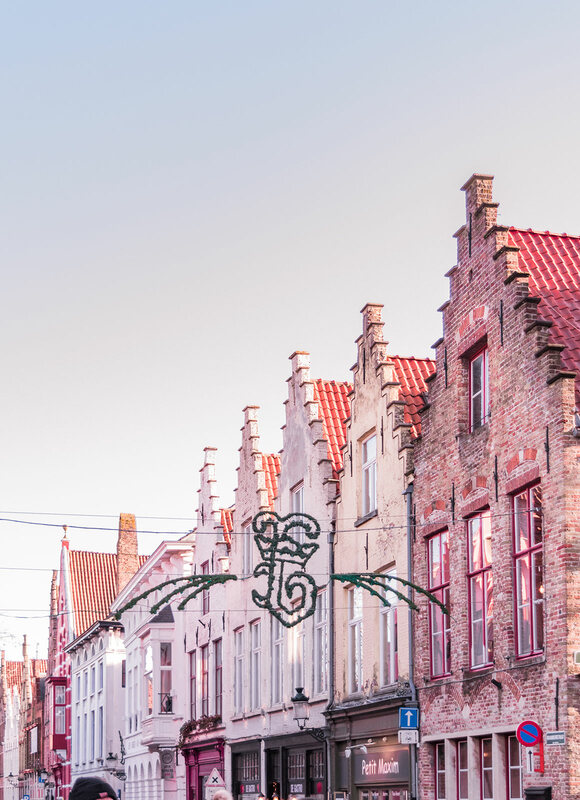 I’m going to Bruges next month and just booked my brewery tour! 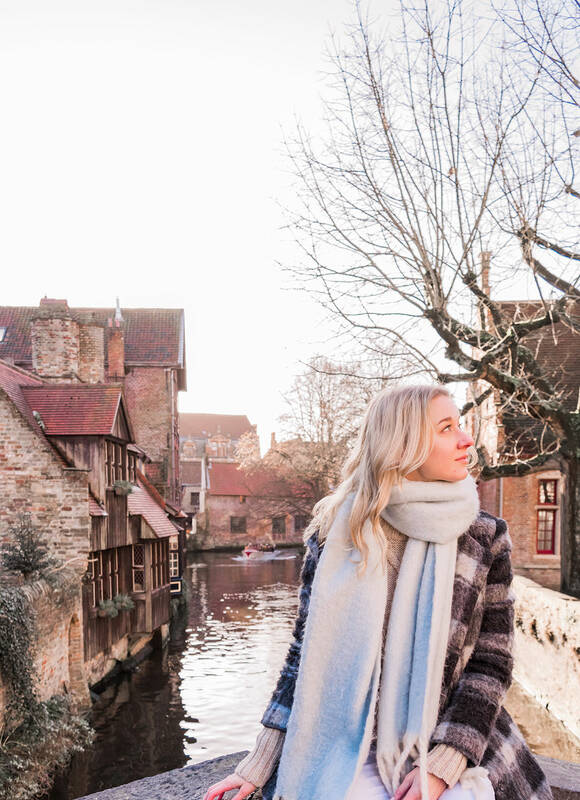 I’m so glad I found this post on pinterest, I had no idea what I was going to be doing in Bruges but you’ve given me some great ideas! Hi! Loved this post. 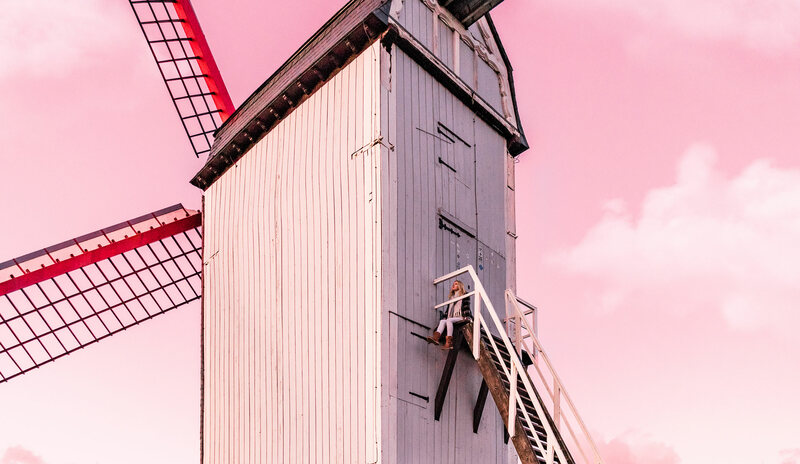 I am headed to Brussels and Bruges this weekend 🙂 How did you find the windmills? Did you have an address to walk to?! Oh how exciting. They are both beautiful cities to visit! For the windmills you can put the names into google maps to easily find them. 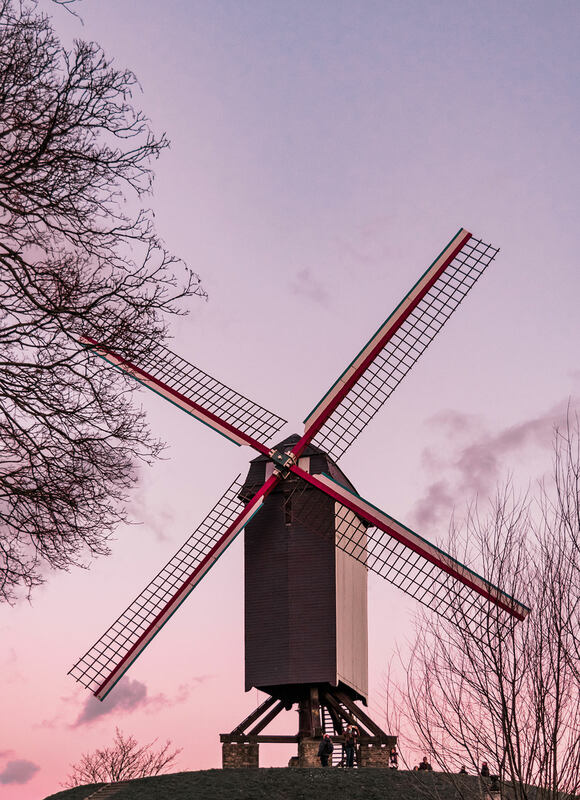 They are called Bonne Chieremolen, Sint-Janshuismolen and Koeleweimolen.